When I began my blog, photography occupied only a marginal role in each post. To tell you the truth, even the writing wasn’t the main focus of my post; what I concentrated on every time was the recipe, in all of its simplicity. However, the years have passed, and now every post is like a symphony, in which all of the elements must sing the same tune, tell the same story. The recipe is still the fundamental element, but it is introduced and accompanied by photos and words, which all help one another to communicate the same feelings and the same atmosphere. I usually choose photos of ingredients or photos of the finished dish; it’s very unlikely that my blog post will include a step-by-step description of the recipe. 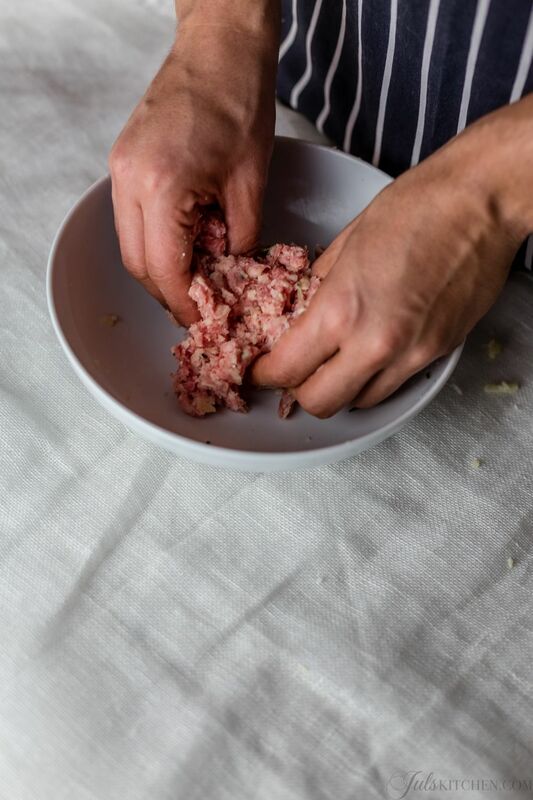 Often this is all down to two basic problems: on the one hand, a lack of time, seeing that I am always dashing from a photographed recipe to a cookery course; on the other, the lack of a subject who’ll volunteer to be photographed. 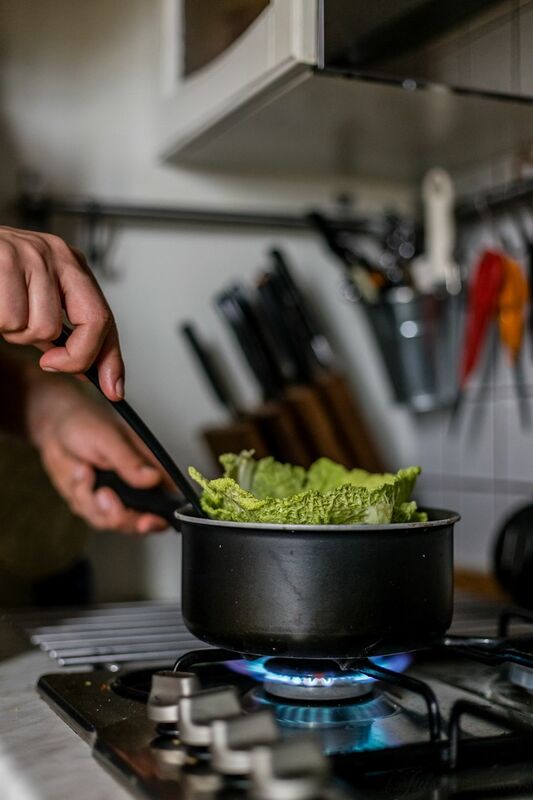 In all honesty, the step-by-step photos of a recipe could even be done without a human subject, simply by capturing the various stages that illustrate the recipe being carried out. This is the trick I use most often when I have to provide a client with photos of the intermediate steps of a recipe. The problem that arises in this case is that is lacks the human element that makes a series of recipe steps, that can otherwise be a bit cold and distant, much more inviting. 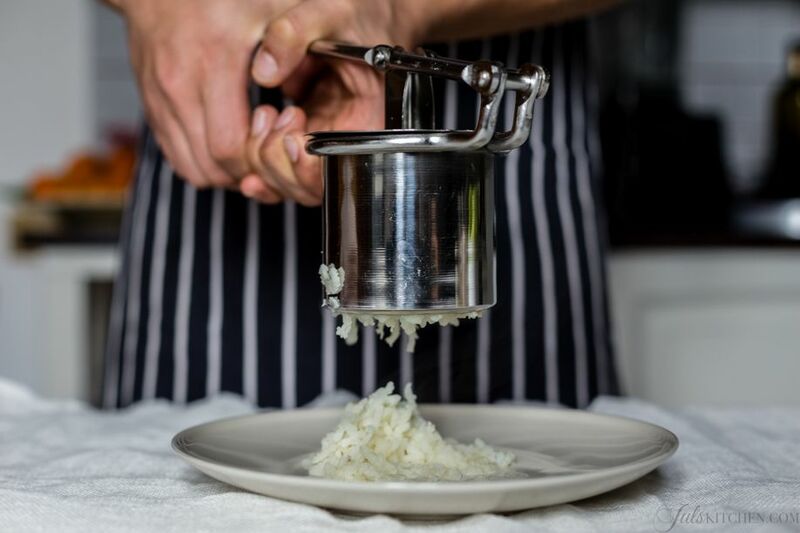 Another option is to use the self-timer and set yourself up in front of the camera to shoot a few snap-shots in action: in this case, I’ll hold a ladle, pour some flour, stir the mixture. In this case, the difficulty is one of organisation: not only do you have to move continuously backwards and forwards from behind the camera, but very often you also have to wash your hands, shake off the flour… my camera is always right there in the thick of it, by which I mean covered in flour when all goes well, and splattered with dough in the worst case scenario. Not everyone is so relaxed when it comes to their camera! 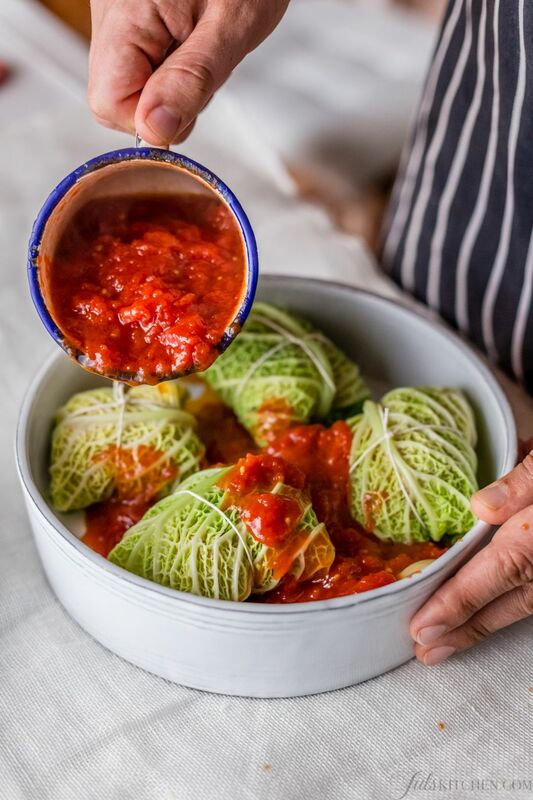 However, when the recipe is particularly complicated, or when the story you want to tell is very strongly tied to the execution of the recipe, then it can be interesting to have a go at step-by-step photographic representation. In this case, I was lucky enough to be able to count on a ‘model’ who offered to play the human role in the steps of the recipe. For these photos, I decided to focus step-by-step on three or four different shots, varying them according to need. Too many shots would have been confusing and would have also made it difficult to follow the recipe. Though one single shot would have been too boring. A very basic step, such as mashing potatoes, can make a good photo if taken from the same height as the action. 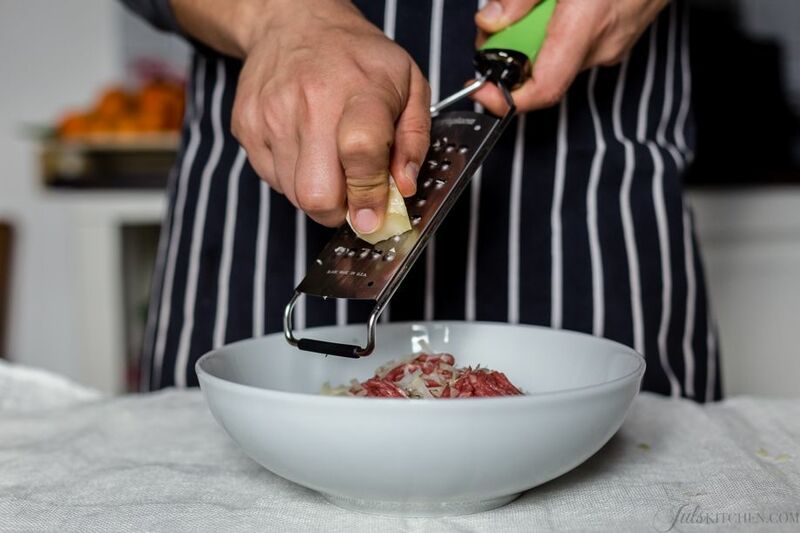 The same goes for a grater when you reach the step of grating cheese into the meatball mixture. Change of angle to show the texture of the mixture. Moving onto the heat and there is a new change of angle to highlight the flame of the hob. 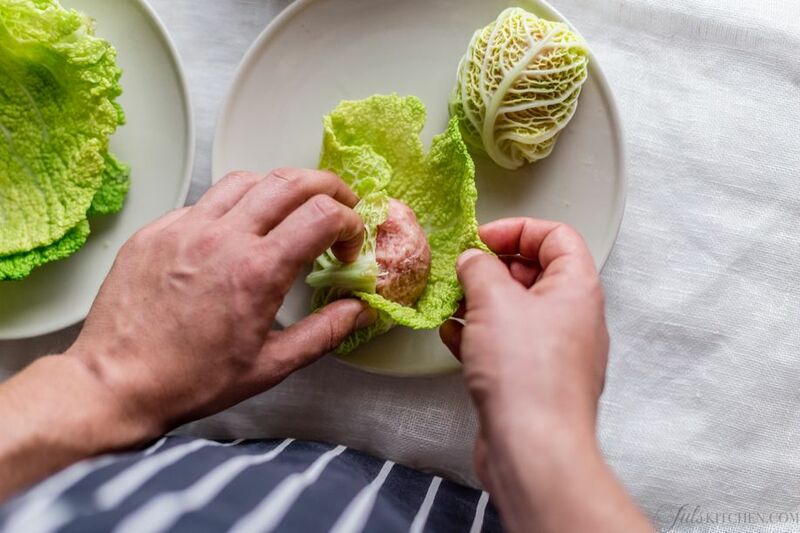 In this case, I chose a perspective from which to show clearly how to wrap the meatballs in the parboiled cabbage leaves. We have almost finished. 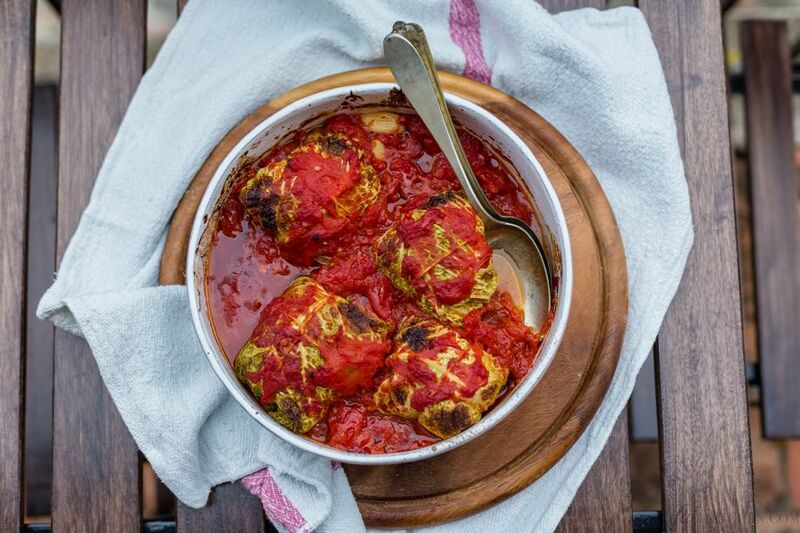 Before putting them in the oven, the meatballs are arranged in a casserole dish and covered in tomato sauce. The dish is ready, so we return to a more classic photo of the finished product. Buon appetito!